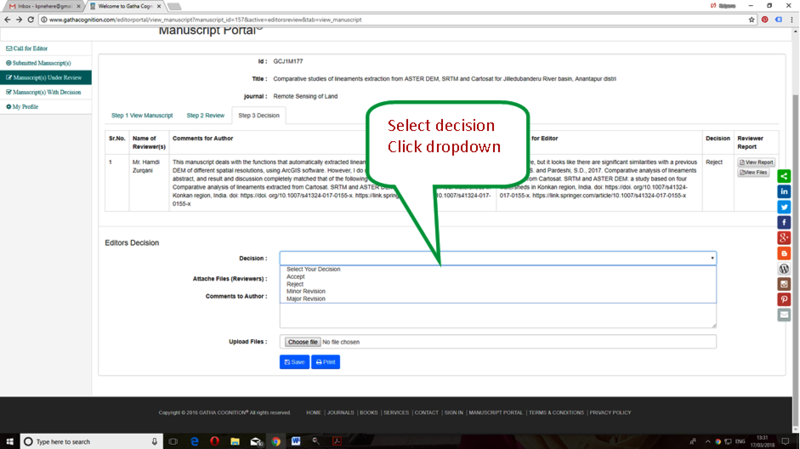 Select option the ‘Editor’ from dropdown. 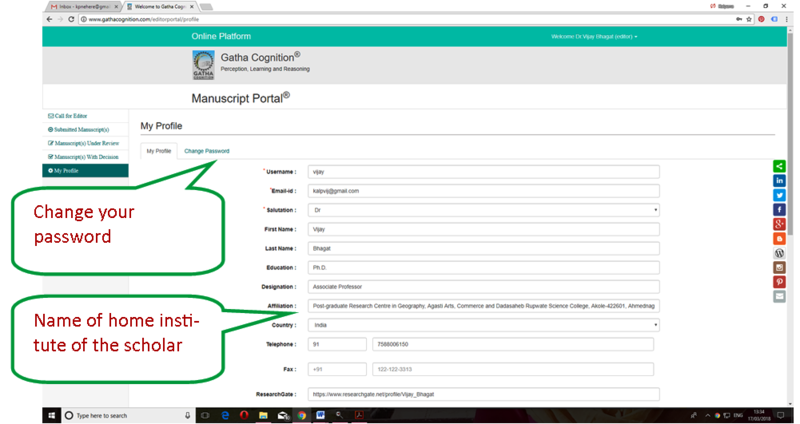 New manuscript(s) are appeared in the tab ‘Call for Editor’. 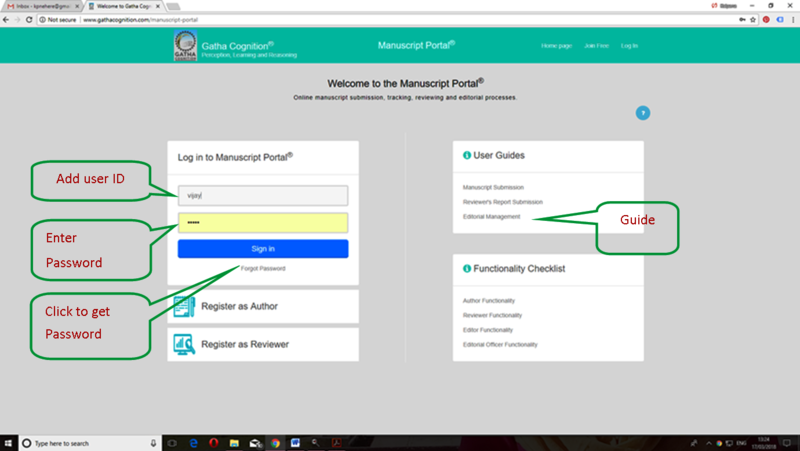 Click on ‘Accept’ for accepting the manuscript for editorial processing. 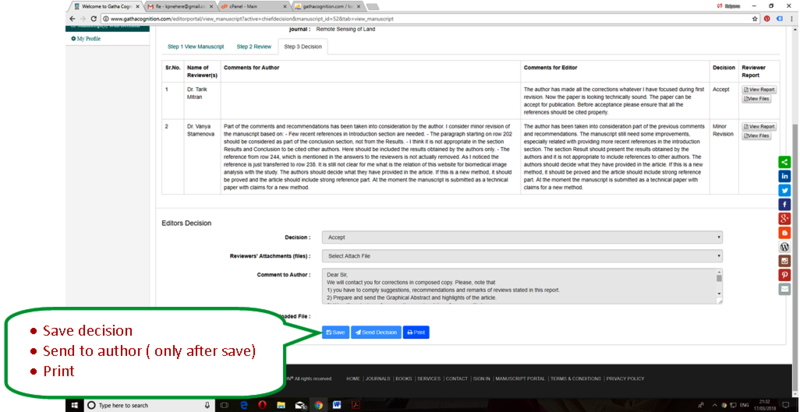 The Associate and member of the Editorial Board can decline the manuscript on clicking the tab, ‘Decline’. 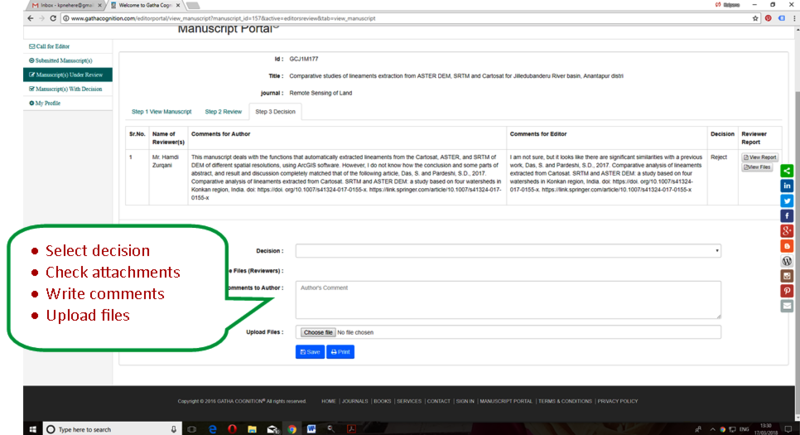 Accepted manuscript(s) by the Editors are appeared in the tab ‘Submitted Manuscript(s)’. Click on ‘view’ for editorial process. Three steps editorial processing: 1) Step-1 View manuscript, 2) Step-2 Review and Step-3 Decision. 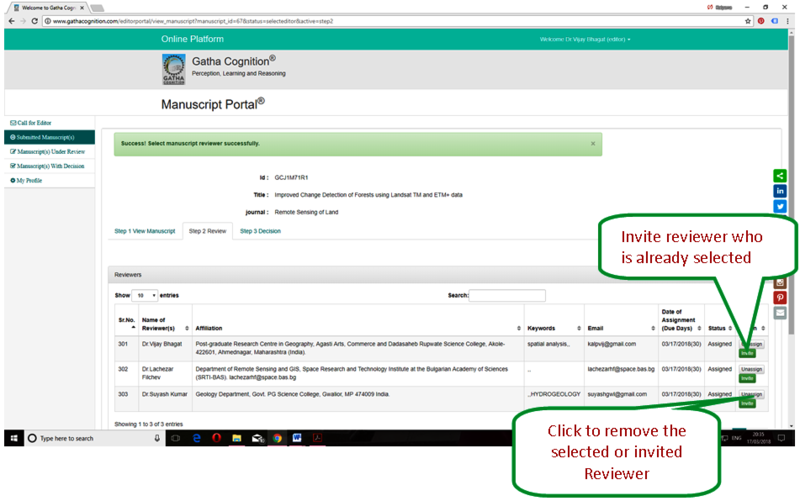 View Manuscript, make primary decision (reject on poor quality manuscript and accept after improved after revisions) before the review by experts. 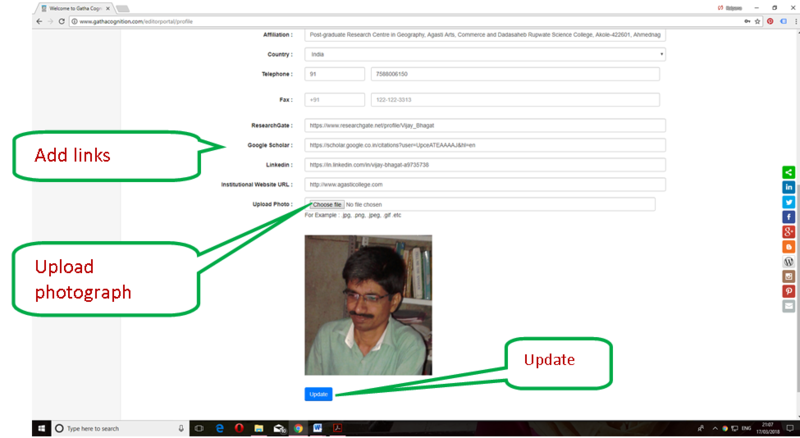 Click on ‘change’ to Appointment of the Processing Editor. 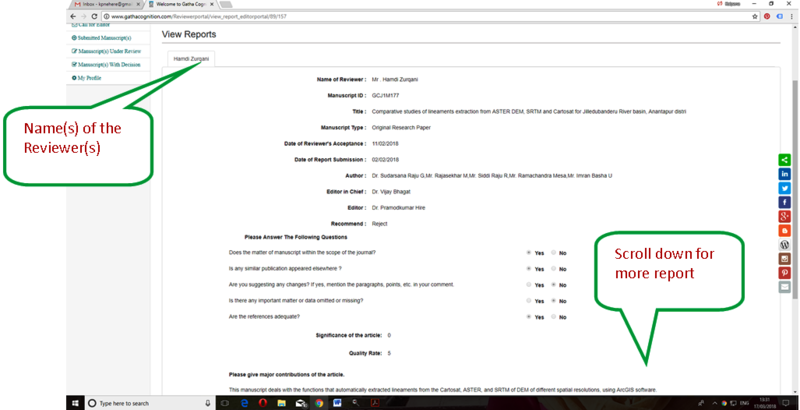 Click on ‘Step -2 Review’ for appointment of reviewers. Appointment of ‘Panel of Reviewers’ (three). 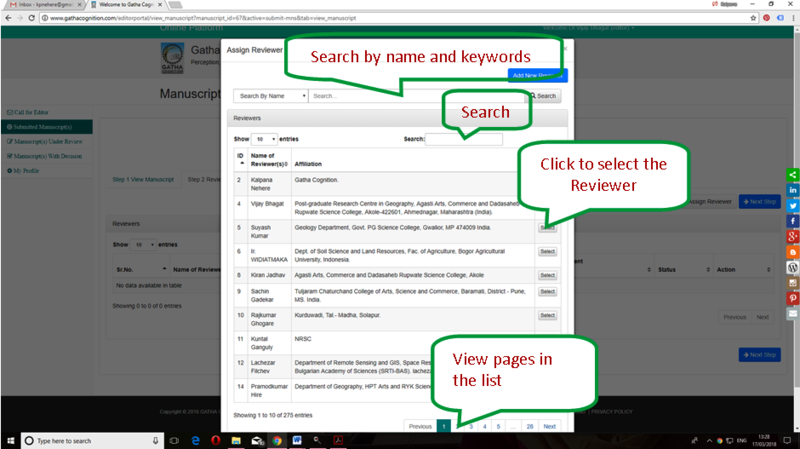 Search reviewer: 1) by name, 2) by keywords, and 3) direct search. Select reviewer from the list. Add new reviewer to the list. 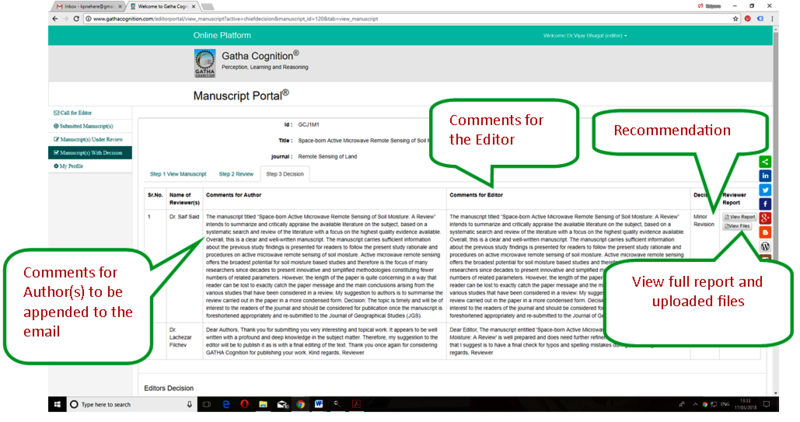 View the comments, recommendation, full report and uploaded files by the reviewers.